Roots of Peace is working closely with the president of Afghanistan on an agricultural program, but despite their efforts they are targets of Taliban. SAN FRANCISCO (KGO) -- ABC News anchor Cheryl Jennings recently took a trip to Afghanistan with the San Rafael-based nonprofit Roots of Peace. Because of safety concerns, the trip was kept secret until they returned. The Roots of Peace founders are working closely with the new president of Afghanistan on an agricultural program. But they are targets of the Taliban because they are westerners. Next month marks the one year anniversary of a deadly attack on one of their buildings. ABC7 News obtained cellphone video of two suicide bombing attacks at a building in Kabul almost a year ago. Taliban insurgents targeted the westerners inside the building and tried to kill them. The charity inside, Roots of Peace, picked itself up and is continuing its mission helping farmers grow their businesses. But the organization learned life and death lessons from that tragic day. Sadly, two innocent bystanders were killed. Roots of Peace had been sharing the building with a Christian day care center that was the Taliban's real target. A suicide bomber blew up a car bomb outside the building. Then, a second suicide bomber blew himself up inside. Other Taliban insurgents were surprised by the Roots of Peace security team who fought back for four hours. The employees were rushed to the roof while the battle raged. Afghan security forces also responded and the insurgents were all killed. "I never forget that moment," said Sharif Osmani, the former director of Roots of Peace in Afghanistan. "Some of our staff were bleeding. Some of our staff were injured. The first floor was burned. The good thing is nobody was killed from our office." Osmani faced death threats after he did TV interviews about the attack, so he and his family had to evacuate. ABC7 News Anchor Cheryl Jennings had the opportunity to travel to Afghanistan with the San Rafael-based nonprofit Roots of Peace to meet the new president for an exclusive interview. Roots of Peace founders Heidi and Gary Kuhn were home in the Bay Area and monitored the horrifying gun battle via Skype. They had to move their Roots of Peace staff and office to secret locations in Kabul. That attack dramatically changed the level of personal security in Kabul for the Kuhns. Now, when they meet their staff they wear body armor to and from the airport and to some meetings. Kuhn cannot ride in the same in the same vehicle as her husband and her security chief says it's because of continuity. "We have four children and a grandson, not only for one of us to be here in the event of some sort of a terrorist attack, but also to protect our business," Kuhn said. "If one of us went down as CEO and president, the other has to carry on." ABC7 News Anchor Cheryl Jennings had the opportunity to travel to Afghanistan with the San Rafael-based nonprofit Roots of Peace and met women risking their lives to work. The attack in 2014 did not stop the Kuhns from meeting with Afghanistan's new president, Ashraf Ghani, in late January at the presidential palace. They talked about increasing the pace of agricultural development. 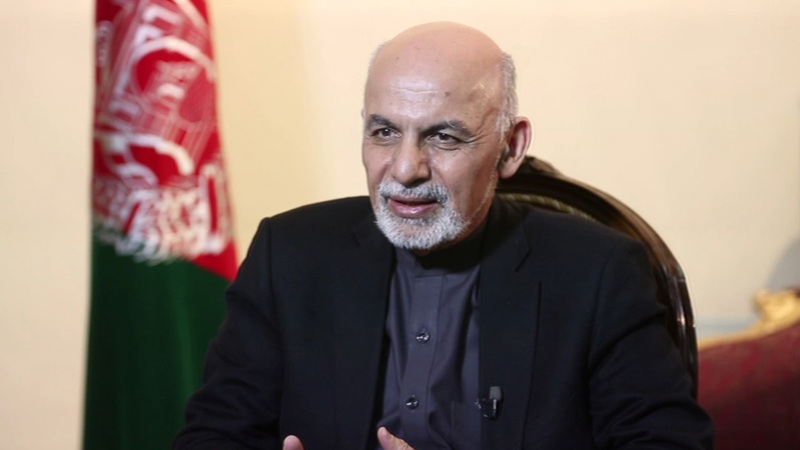 "Without a functioning agricultural system in this country, we cannot have stability," Ghani said. Roots of Peace has been working in Afghanistan for more than a decade, with funding from USAID. They're linking farmers to traders in international markets with high value produce to improve the struggling economy. The program is finally bringing in millions of dollars in contracts. "I know the CEO and good friend Heidi Kuhn," said Mohammad Qayoumi, Ph.D. "She has her heart in the right place, all over the world. The work she's been doing is how her organization can really create sustainable jobs for people all over the world, specifically in the area of agriculture." Qayoumi is president of San Jose State University and is a trusted advisor and friend of Ghani. "The perception we have of Afghanistan is all we see about is those horrible accidents, but we do not really see the resilience of the people, their whole sense of creativity and see how they want to be connected to the world," Qayoumi said. That connection begins with a stable economy. "The sense of creating order, a sense of routine, a sense of predictability, a sense that you can plan your future and get ahead, and your life is not going to be cut short, is our fundamental goal. And I hope that's so decent, so human, that anybody can relate to and support," Ghani said. Roots of Peace shared a story about planning its own future after the Taliban attack. The staff had a stunning moment while searching through the rubble from the suicide bombings. 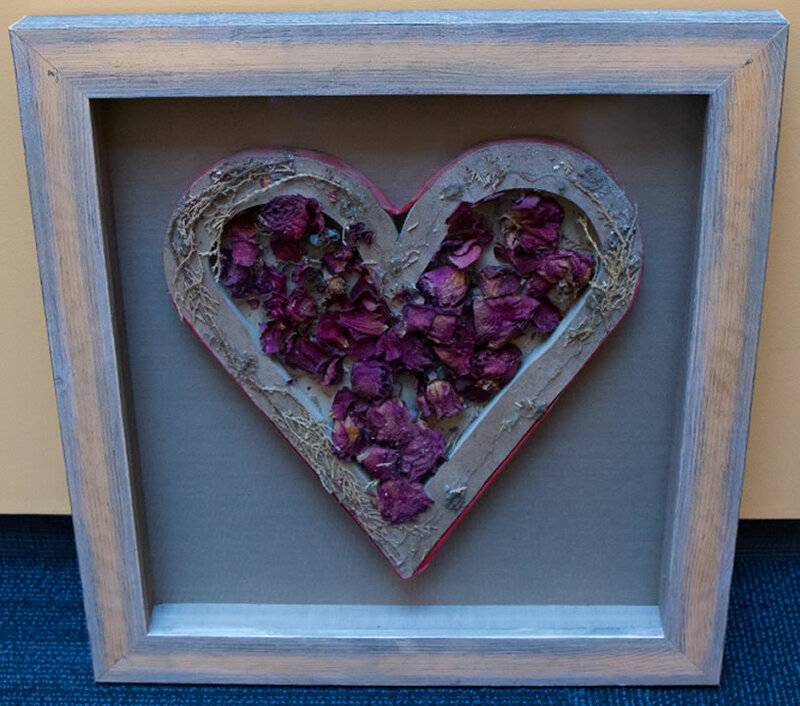 Almost everything was destroyed except for a handmade heart of roses on the wall. It was a gift from the staff in Kabul. The staff saved that heart and had it delivered to the Kuhns. Now it hangs in their home in the Bay Area as a reminder that Roots of Peace will not surrender to terrorism. "Most of the walls and the stuff in that room were destroyed, but that heart survived," said Shafi Anwary, the new Roots of Peace director in Afghanistan. 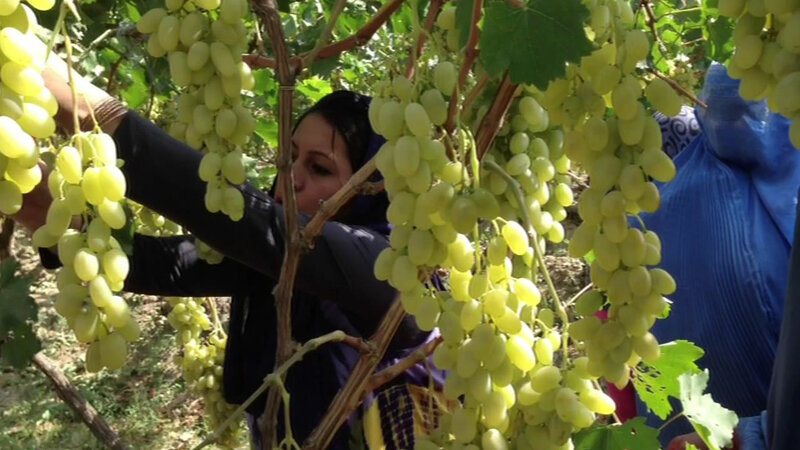 Anwary says the staff is not intimidated by the attacks and will remain dedicated to the mission to help farmers and families have better lives in Afghanistan. "If we look at that from another perspective, that means the hearts are still alive and we can still continue with whatever has happened," he said. 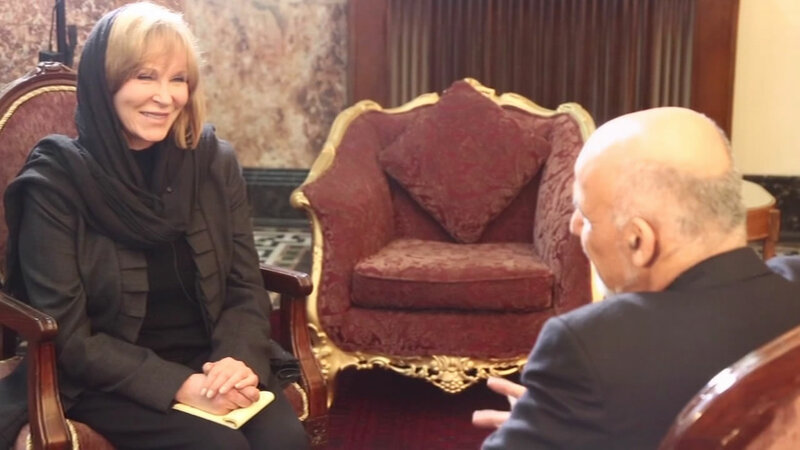 During an exclusive one-on-one interview, Afghan President Ashraf Ghani told ABC7 News Anchor Cheryl Jennings that he's asking Silicon Valley to help him rebuild his country by investing in the economy. President Ghani's trusted advisor Qayoumi wants to host a roundtable with Silicon Valley leaders who are interested in investing in Afghanistan. Also, Gary and Heidi Kuhn are creating a venture capital fund for this, called The Roots of Peace Fund which is an agribusiness technology venture capital fund for Afghanistan. ABC7 News Anchor Cheryl Jennings went on a secret mission to Afghanistan with the San Rafael-based non-profit called Roots of Peace. She traveled with the founder, Heidi Kuhn and her husband, Gary Kuhn, who is the President of Roots of Peace. 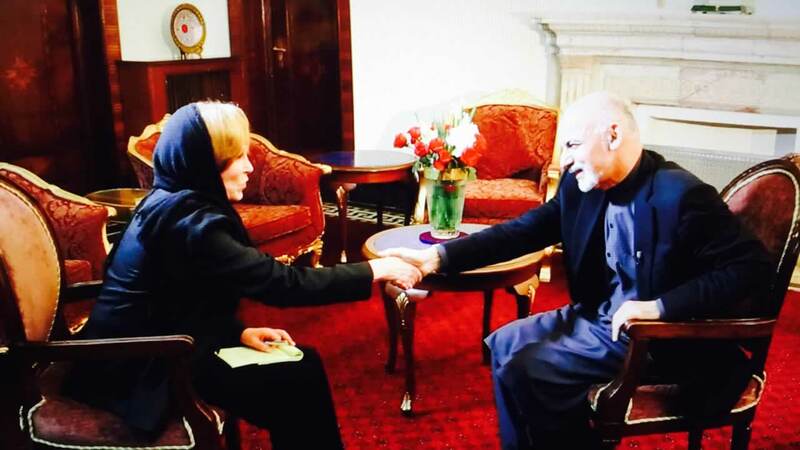 There, she had an exclusive, one-on-one interview with the new President Ashraf Ghani, who praised the work of Roots of Peace. You can see more photos from the Afghanistan trip here on Cheryl's Facebook page.